One of the hardest topics to approach during a divorce is the matter of child custody. Many parents struggle as they seek the outcome they want while keeping the child’s best interest in mind. The state of Texas favors allowing both parents the chance to have custody when possible. Allowing children to have a relationship with both parents is often beneficial to the child’s growth and development. A family lawyer can be instrumental in negotiating child custody terms that work for you. If you are filing for custody in Texas, it is especially important to know how the state handles these cases. Can I File in Texas? All of this information provided gives the court a better picture of the child’s lived experience thus far. When deciding on how the custody agreement should look like, courts heavily consider the child’s best interest, any apparent history of domestic violence and abuse, and the child’s testimony if they are old enough to testify. In Texas, a child must at least be 12 to testify in a custody hearing. While family courts in the state of Texas are in favor of the granting joint custody, many parents seek sole custody of their children. Better parent standard – A court must determine that you are the more responsible parent, which is a challenging task, especially if the other parent has played a consistent role in the child’s life. Remain kind and calm – No matter how painful the situation, or what your feelings toward your ex-partner are, the court will respond to you better if you remain balanced and calm in your communication style. It will also support that you are a stable model for your child. Child’s physical and psychological well-being – Displaying a keen interest and intimate knowledge of your child’s education, daily habits, sleep habits, all bode well for demonstrating the type of parent you are. 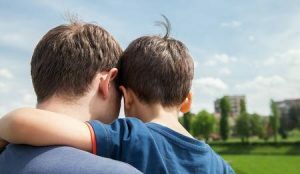 Do not rule out the possibility of joint custody – Even though it may not be what you want, stay open to the possibility of the court ruling in favor of joint custody as this is a common outcome in Texas family courts. The initial custody agreement that families come to don’t always hold up with changing circumstances. Some families find that they need to modify custody when one or both parents have a significant increase or decrease in their income. While the reasons for requesting a modification varies from family to family, a lawyer can be helpful in gathering and presenting the needed documentation. Going through a divorce is painful and having to confront the possibility of losing time with your child can be even more difficult. However, keep in mind that patience is essential and that your child’s physical, mental, and emotional health should be central to this process, no matter how difficult it is for you. 10 Things to Help You Plan for a Career in Law Criminal Felony Charges: What Rights Will You Lose?